God is always good; God alone is good (Psalm 68:9-10; Mark 10:18; Luke 18:19). He can never be anything to the contrary. God's goodness is part of His never-changing, perfect, moral character. He is the same yesterday, today, and forever (Hebrews 13:8). In every circumstance: in every victory and tragedy, in every moment of joy and every moment of unimaginable sorrow, in moments abounding in life and in moments shattered by death, God is good. God is good when babies die at abortuaries. God is good when He chooses not to allow that to happen. 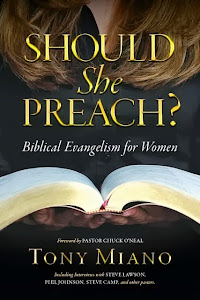 These seemingly paradoxical truths confuse and trouble only those who are either babes in the Christian faith and those who are not Christians. I could not endure the day-to-day murderous rampages of men and women who sacrifice their unborn children on the altars of convenience and selfishness, who with premeditation and malice aforethought butcher their babies like ground chuck through a grinder, if not for a God-given understanding of His perfect, ever-present, and eternal goodness. It was this same goodness, possessed only by God, which led me to repentance and faith in Jesus Christ (Romans 2:4) 26 years ago. I never walk away from a difficult morning at the Family Planning Associates Women's Health abortuary (located at 10200 Sepulveda Boulevard Mission Hills, CA) asking God "why" questions. The reason is simple enough. I know God is good. I know God is good because He has adopted me as one of His children. It is His Spirit testifying with my spirit, which allows me to know my Father in Heaven, as a son knows his father on earth (Romans 8:12-17). At the same time, I also know God does not owe me an answer for anything He does or allows (Romans 11:33-36). It is enough for me to know that the sure and steadfast anchor of my soul (Hebrews 6:19-20), Jesus Christ the Lord, is sovereign (1 Timothy 6:13-16). It is enough for me to know God is good. In the midst of unspeakable brutality committed by those whose hatred of God is so deep, so depraved as to be expressed through the slaughter of the unborn image bearers of God, under the auspices of "choice," I can still worship my Lord in spirit and in truth (John 4:23-24). Why? God is good. God's goodness was on display on Tuesday and Saturday of this week at the Mission Hills murder mill. By His predetermined will, according to His sovereign grace and mercy, God allowed the lives of five unborn children to be spared this week. He also spared the lives of two more unborn children at the Family Planning Associates Women's health abortuary in San Bernardino. The teams and I rejoiced with great joy, praising God with love and thanksgiving for Him, in our hearts. That God would allow us to see Him work, which is part of our prayers every morning we are there, is yet another tangible expression of His lovingkindness in our lives. His steadfast love endures forever (Psalm 118:1-26)! 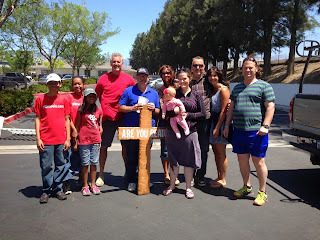 Tuesday morning, I was at the Mission Hills abortuary with Don, Steve, and Jeremy. It was a relatively quiet morning in that their were only two "peacocks" (the moniker I have given to cowardly men who bring women to the abortuary and, when called out, posture like a peacock--all feathers and no fight, but full of empty verbal threats) who tried and failed to intimidate us. Toward the end of our time at the abortuary, an LAPD unit pulled into the parking lot. It's not unusual for LAPD to come to the abortuary. People frequently call the police and lie about our activity outside the abortuary. What made this visit unusual is that the LAPD unit drove to the back of the parking lot. Moments later, two men (presumably representatives of the new property management company--we had never seen them before) walked out of the building and met with the officers in the back of the parking lot. Together, they spoke for quite some time. Shortly thereafter, "Ivan the Terrible" joined them. Ivan has a business in the building. His office is on the top floor, at the corner closest to where we stand and plead with people entering the abortuary. Ivan has called the police many times. When the meeting in the parking lot ended, the LAPD officers came to talk to us. 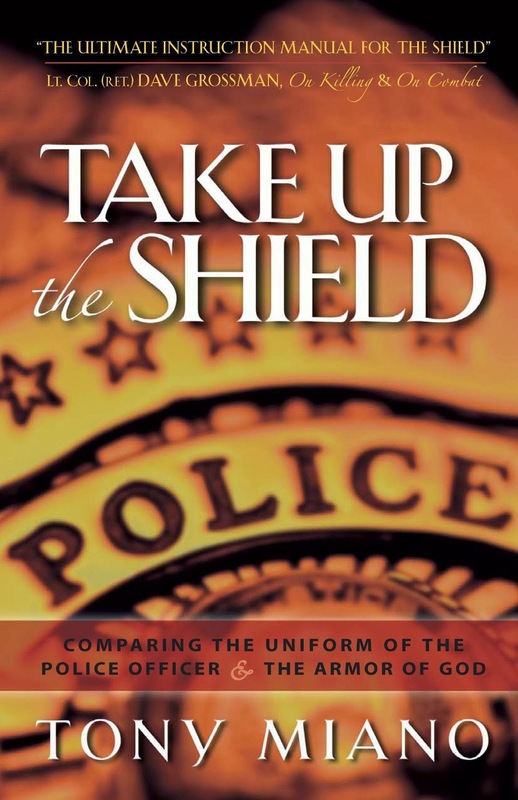 Both officers were very professional, courteous, attentive, and reasonable. The officers assured us that the new property managers (the new Pharaoh who knew not Joseph) didn't want us around and would try their best to find away to make us leave. The officers advised us to make sure we remain compliant with the law. We assured them that is always our goal. 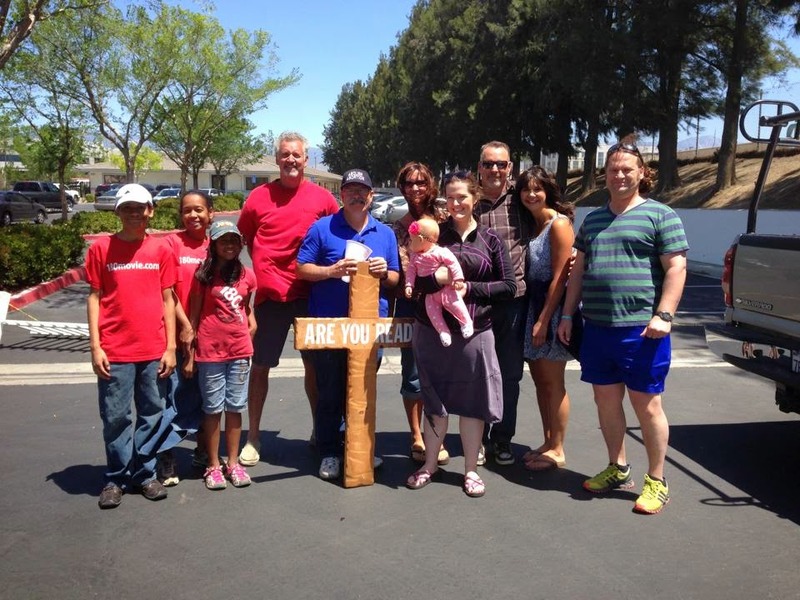 In the two years I have been standing outside the Mission Hills abortuary, I do not recall the Lord saving three unborn children in a single day. It was a special day. One man went back in the abortuary to bring his girlfriend out while I was preaching beneath the lobby windows of the abortuary. Two other women left the abortuary shortly after I finished preaching. None of the three women were in the abortuary long enough to murder their children. We praised God for His mercy and grace. When I finished preaching, I walked across the street to a car in which sat a young man who brought a couple to the abortuary. As I approached the open driver's door window of the car, I could hear loud music coming from the car stereo--gospel music. Khaleef was the name of the young man sitting behind the wheel. I plead with Khaleef, a professing Christian to go into the abortuary and try to talk his friends out of murdering their baby. He refused. Minutes into our conversation, the young "man" who escorted the woman into the abortuary returned to the car. 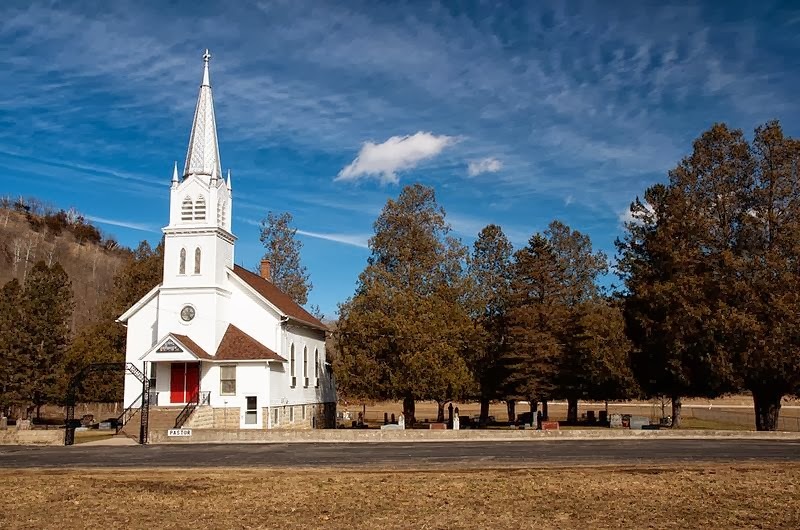 He, also claimed to be a Christian, said the woman he brought to the abortuary was his older cousin. Like Khaleef, he refused to go back into the abortuary to try to talk his cousin out of murdering her baby. After ten minutes of pleaded with and rebuking the young men, they drove away. The wicked flee when no one pursues (Proverbs 28:1). These two fled while listening to gospel music. The property management company now overseeing the building that houses the Mission Hills abortuary is LBPM. 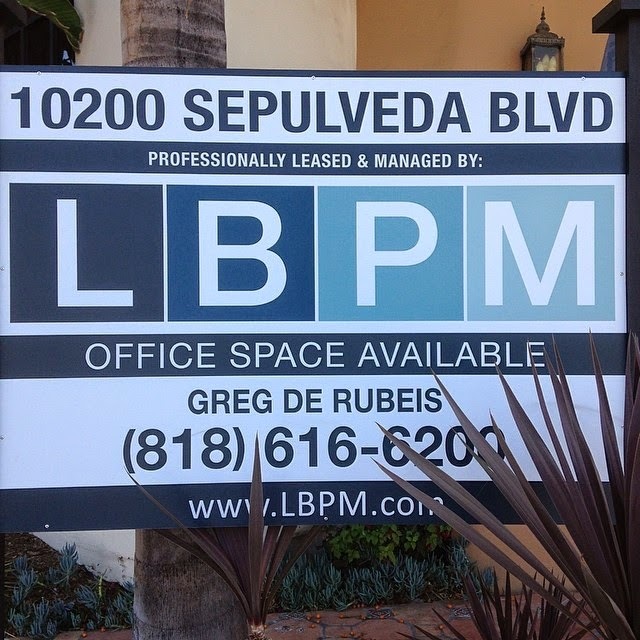 The LBPM contact person for the property is Greg De Rubeis. I think he was present when LAPD was called on Tuesday. Greg DeRubeis can be contacted by phone at: (818) 616-6200. Electronic messages can be sent to LBPM via the company's contact page. The "snail mail" address for LBPM is: 4730 Woodman Avenue, Suite 200 Sherman Oaks, CA 91423. You can also contact LBPM via Twitter. With the recent change of ownership at 10200 Sepulveda Boulevard Mission Hills, CA, your company has been contracted to provide management and leasing services for the property. Was your company aware prior to taking on the property in question that the building houses an abortion clinic? For many years, now, babies have been murdered at 10200 Sepulveda Boulevard. By providing leasing and management services for the building, your company is complicit in the murder of these unborn children. Please end your contract with the owners of 10200 Sepulveda Boulevard. Please do not participate in the shedding of innocent blood. In the meantime, I will advise all of my friends to avoid doing any business with LBPM or with any business in a property your company manages. Please do what is right. 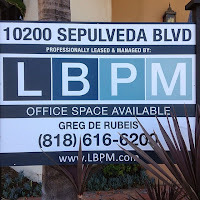 Would you please join me in encouraging LBPM to stop providing leasing and property management services at 10200 Sepulveda Boulevard Mission Hills, CA? If you do join me in the effort, PLEASE make sure any and all of your correspondences with the company are polite, respectful, and NON-threatening. Do NOT bring a reproach upon the name of Jesus Christ by misrepresenting Him through sinful behavior. Please let me know with a comment, here, if you joined the effort.